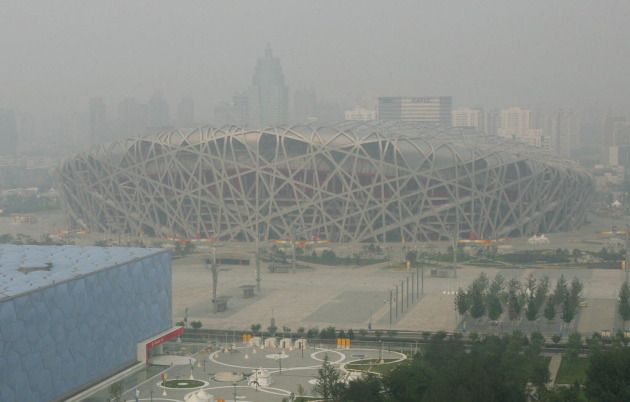 An interesting new study of the 2008 Beijing Olympics lends new evidence to the link between air pollution and heart health. The study found that the Chinese government's cleanup efforts to reduce the smog and chronic air pollution that plagues the city led to a temporary boost in heart health, only to worsen after the games. "We believe this is the first major study to clearly demonstrate that changes in air pollution exposure affect cardiovascular disease mechanisms in healthy, young people," said study author Dr. Junfeng Zhang, a professor of environmental and global health at the Keck School of Medicine of the University of Southern California. Published in the Journal of the American Medical Association, the study details the $17 billion cleanup efforts in Beijing, which included closing factories and limiting automobile traffic during the Olympics and Paralympics.